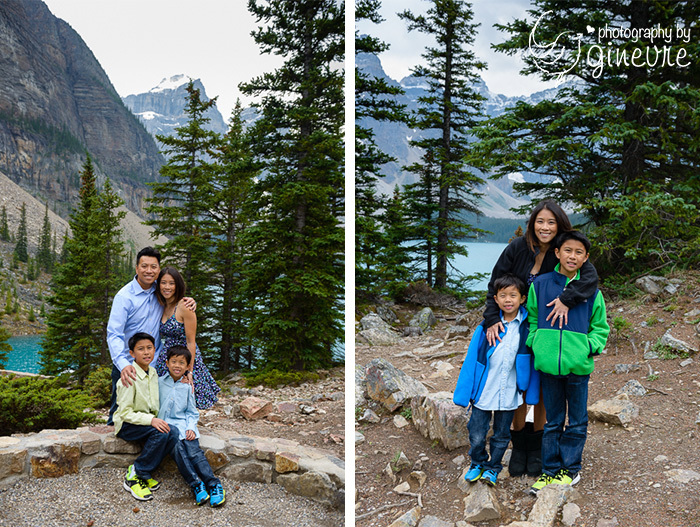 I wasn’t blogging a whole lot of family portraits in 2013, but I have had some wonderful sessions this year that I just have to share. 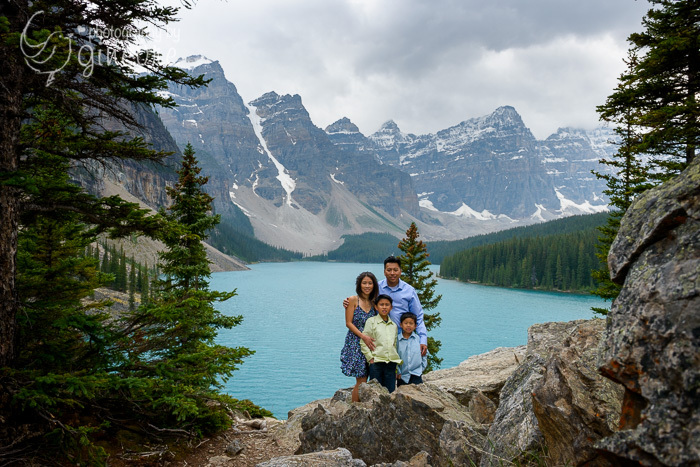 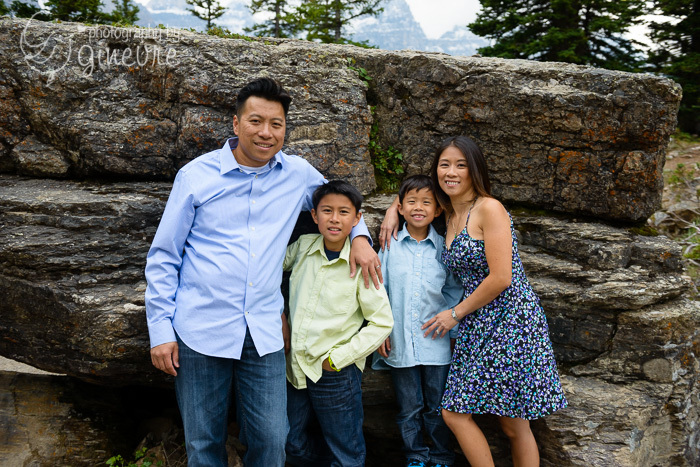 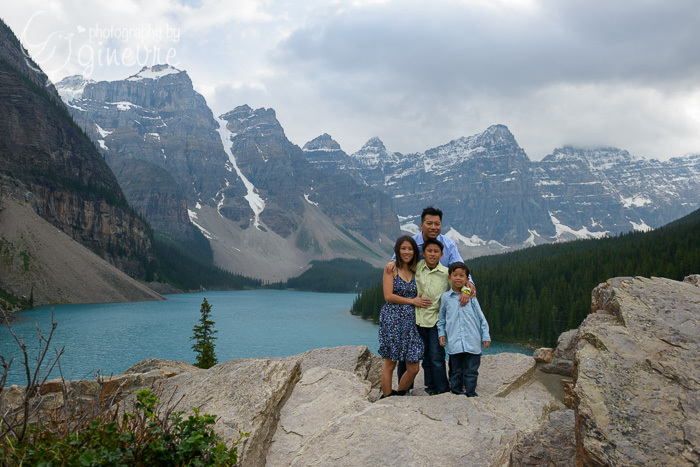 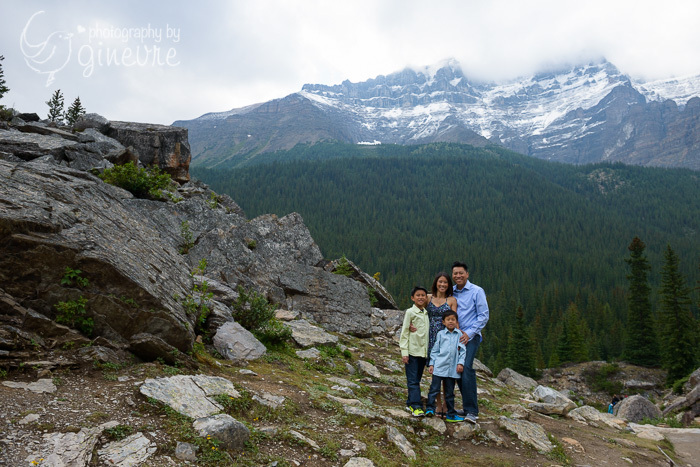 This one is at Moraine Lake, and Kristy really wanted a great photo for a huge canvas in their home. 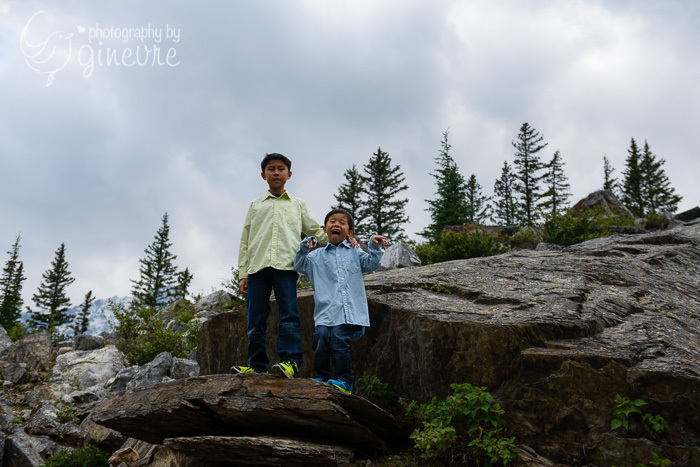 It was a little cold and slightly gloomy, but since I love cloudy weather for portraits, I didn’t mind. 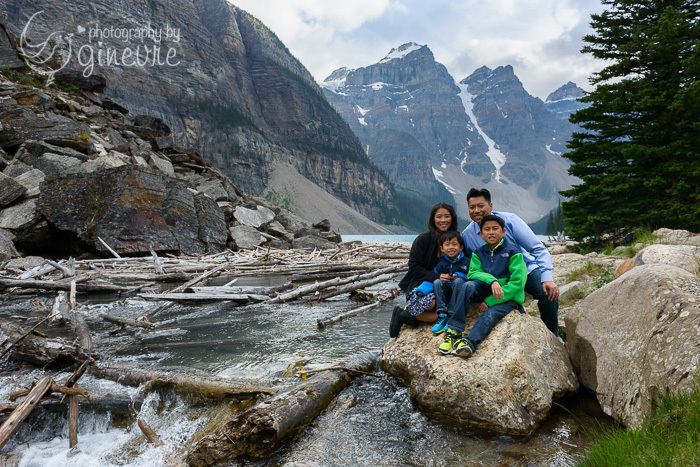 It was very windy on top of the rockpile though, so we spent a bit of time on the more sheltered side and then went back for that family photo with the perfect view. 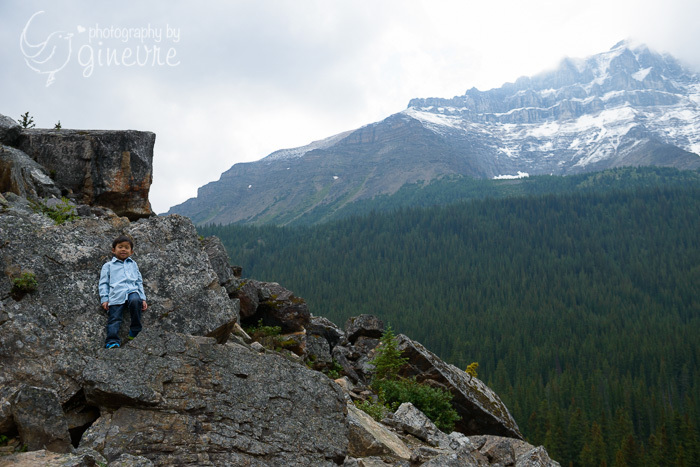 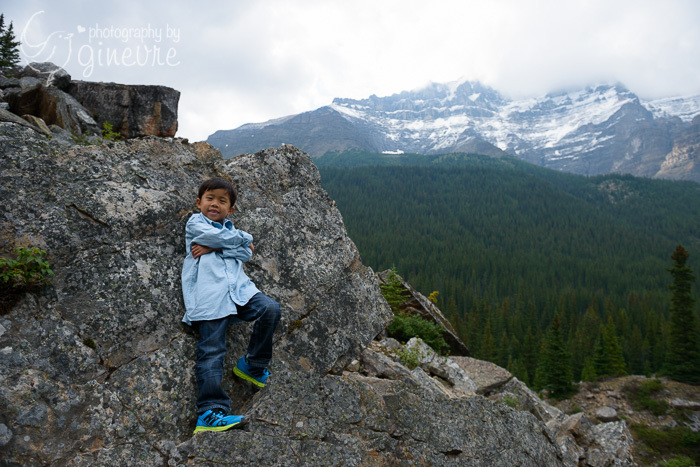 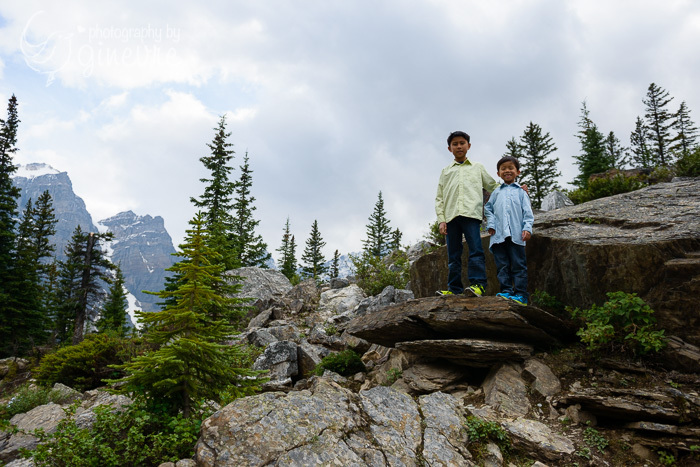 The boys were really cooperative during the session, and happily posed on rocks and did anything we asked. 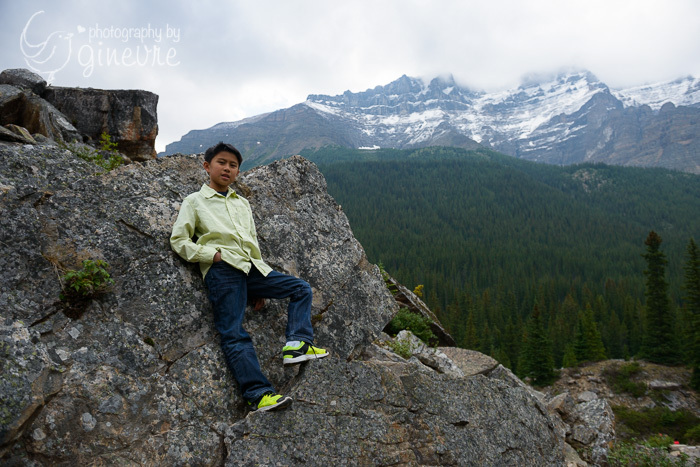 I love how these images turned out.